The Lego Movie is a 2014 American-Australian computer animated adventure-comedy film directed and co-written by Phil Lord and Chris Miller, distributed by Warner Bros. Pictures, and starring the voices of Chris Pratt, Will Ferrell, Elizabeth Banks, Will Arnett, Nick Offerman, Alison Brie, Charlie Day, Liam Neeson, and Morgan Freeman. Based on the LEGO line of construction toys, it tells the story of an ordinary LEGO minifigure named Emmet, prophesied to save the LEGO universe from tyrannical Lord Business. This article uses material from the Wikipedia article "The Lego Movie" and is licensed under the GNU Free Documentation License. 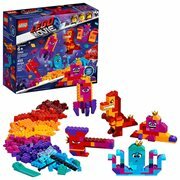 LEGO 70825 The LEGO Movie 2: The Second Part Queen Watevra's Build Whatever Box! 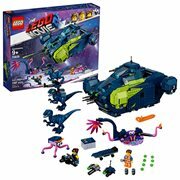 LEGO 70835 The LEGO Movie 2: The Second Part Rex's Rexplorer! LEGO 70829 The LEGO Movie 2: The Second Part Emmet and Lucy's Escape Buggy! LEGO 70823 The LEGO Movie 2: The Second Part Emmet's Thricycle! 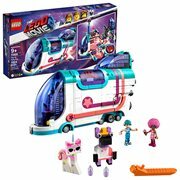 LEGO 70830 The LEGO Movie 2: The Second Part Sweet Mayhem's Systar Starship! 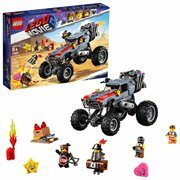 LEGO 70826 The LEGO Movie 2: The Second Part Rex's Rex-treme Offroader! 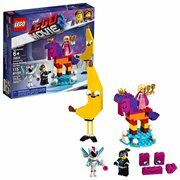 LEGO 70827 The LEGO Movie 2: The Second Part Ultrakatty & Warrior Lucy! LEGO 70821 The LEGO Movie 2: The Second Part Emmet and Benny's ‘Build and Fix' Workshop! LEGO 70831 The LEGO Movie 2: The Second Part Emmet's Dream House/Rescue Rocket! LEGO 70822 The LEGO Movie 2: The Second Part Unikitty's Sweetest Friends Ever!